During this time of year we gather with family to celebrate and remember. Nowhere is that more important than with the families of those who have lost someone. As we celebrate this holiday season let us gather as a Navy family and remember that we are all active in keeping each other safe and secure. Seabees protect the Marines who protect the Seals who protect the Sailor. We all look out for each other and help one another. This is especially felt when one gives up their life for another. The Seabees of NMCB-58 did just that, protecting the sailors of the River Patrol Force. 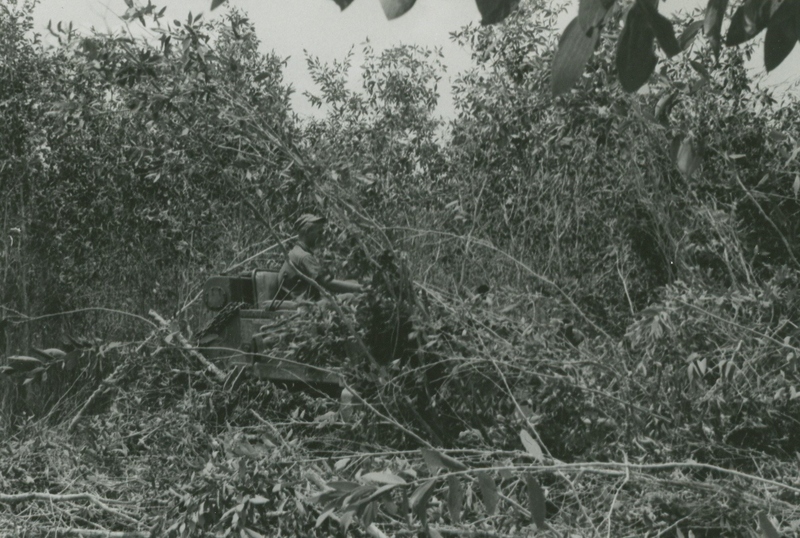 During their 1968-69 deployment, the 35-man unit of Detail Hotel was deployed to the Mekong Delta Region of RVN near Moc Hoa to clear river banks of foliage. The heavy jungle growth provided ideal hiding places for Viet Cong snipers who would often ambush the River Patrol Forces sailors. 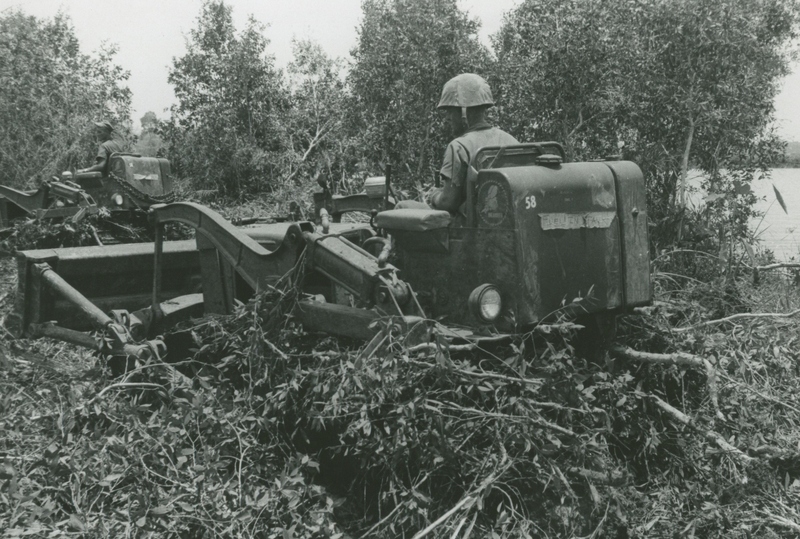 Operating along the Van Co Tay river, NMCB-58 utilized bulldozers, chain saws and machetes to clear over 1 million square meters of land. They also located and destroyed over 200 booby-traps. The efforts were halted though when the monsoon rains came, turning the dry land into a sea of mud. Due to this, booby traps were spread out and harder to locate. The unit worked tirelessly in order to clear the area and make it safe for the sailors to pass through. The day before the detail was to come home an unusually heavy concentration of booby traps was encountered. One was detonated, killing SW3 John S. Staff and seriously injuring SW3 Gary L. Thompson. These men gave their all to make sure the sailors could pass safely. They did this not to be hero’s but to keep safe and secure their Navy family. 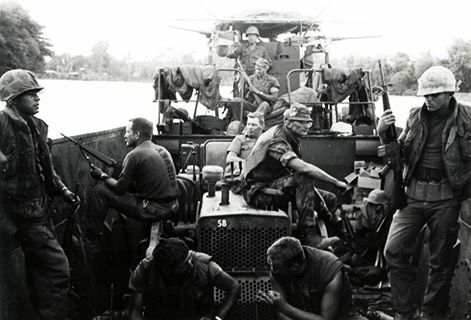 EOCN Anderson and EO3 Kramer clearing riverbanks in the Mekong Delta. While we hope that we, and those we love, will never have to give the ultimate sacrifice, simply being apart during this season can be a hardship. Keep in mind those that can’t be with their families during this time and take comfort in the family that surrounds you. Wishing you and yours a happy holiday wither you are together or apart this season. Ingi House is originally from Kansas where she got her B.A. in history from the University of Kansas and M.L.S. from Emporia State University. After working for the Dole Institute of Politics she moved to the East Coast. In D.C. she worked at the National Archives and Records Administration and then at the Defense Acquisition University where she became a Certified Archivist. Her continued enjoyment of military history lead her to switching coasts and coming to work for the Seabee Museum where she is collection manager for the archives and records manager liaison. My name is Lisa Padgett, and I am a MLIS student at San Jose State University. This semester I interned at the US Navy Seabee Museum in Port Hueneme, California. The last few months have been a fantastic learning experience working on the Dr. Charles J. Merdinger collection. 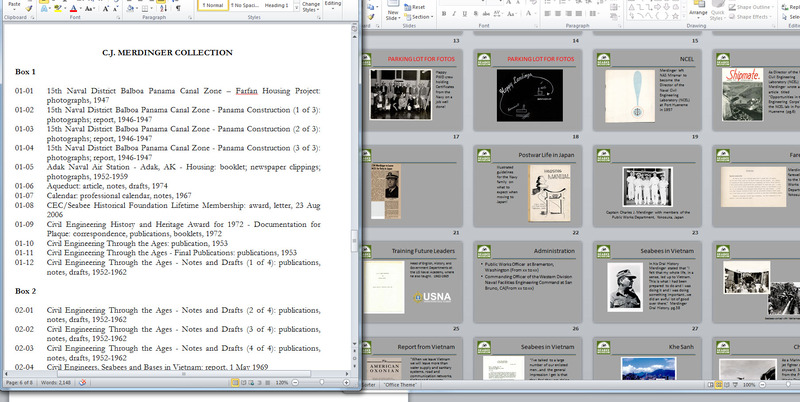 My task was to complete processing, do preservation as needed, complete the inventory, create a finding aid, digitize the collection and create an exhibit to be posted on-line. Dr. Merdinger led an amazing life. He was an ensign on the USS Nevada at Pearl Harbor, served in the CEC in Panama, Alaska, Japan, and Vietnam. He was also a Rhodes Scholar and a published author. Later he became President of Washington College and Deputy Director at Scripps Institute of Oceanography and so much more. It has been my privilege to bring his story to light for the public. 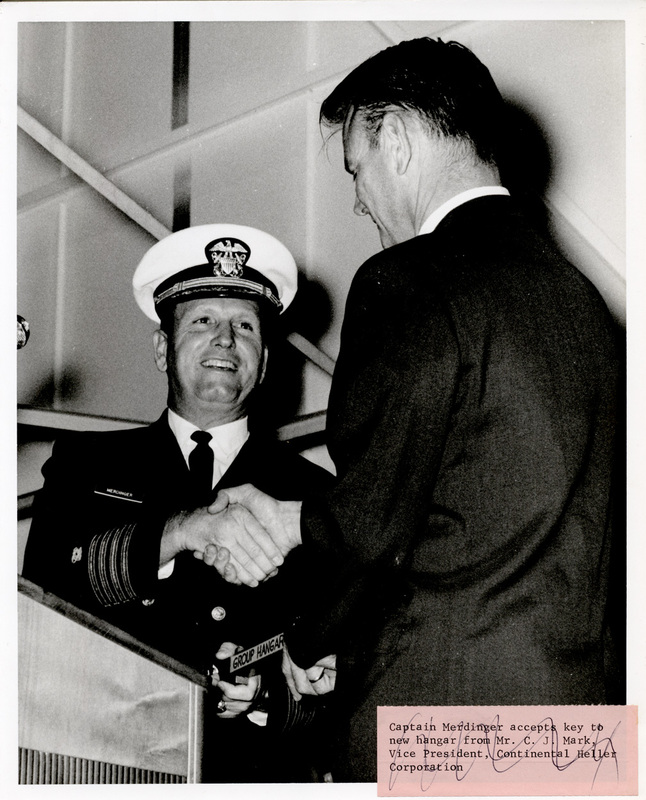 Captain Merdinger accepting key to new hangar from Mr. C.J. Mark , Vice President, Continental Heller Corporation. Note, description is scratched out with pen so information may not be correct. This was an ambitious project to try complete in only 135 hours of the internship, and will probably require many more hours to see it through to the end. But the process has been one of the most rewarding and educational parts of my MLIS program. Many thanks to Ingi House, and the rest of the wonderful staff, of the US Navy Seabee Museum, for letting me be a part of this project. Thank you! Page of a scrapbook from the collection that Lisa scanned. 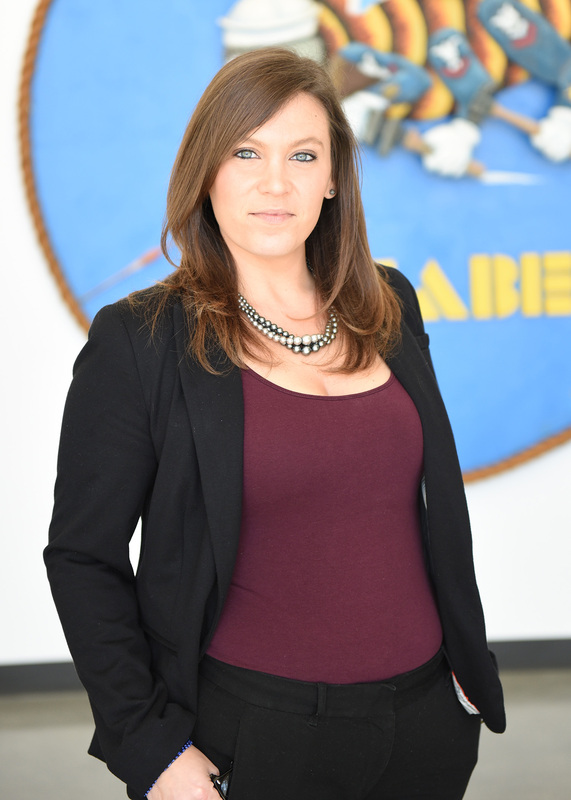 Lisa Padgett was an intern for the Seabee Museum during the Fall 2015 Semester. Happy Holidays from the U.S. Navy Seabee Museum! In Lieu of the holiday season and the colder weather, I’m sharing a Seabee Patch from Operation Deep Freeze in Antarctica. 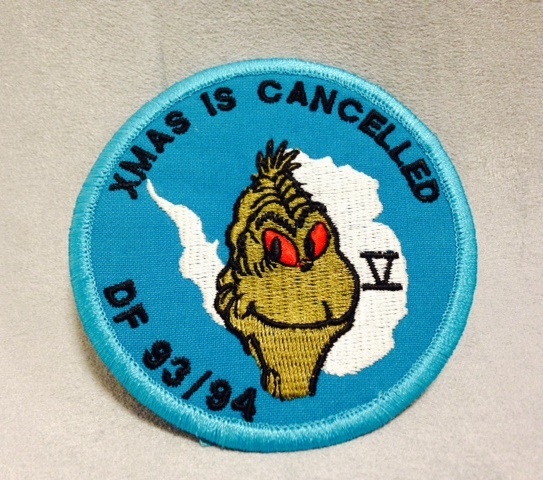 The aqua blue colored patch has a picture of the Grinch overlaying the continent of Antarctica with the words “XMAS IS CANCELLED”. This patched belonged to a member of the Antarctic Development Squadron Six (VXE-6), also known as The Puckered Penguins. This squadron was a U.S. Navy Air Test and Evaluation Squadron based out of Naval Air Station Point Mugu, California. Establish on January 1, 1969, the VXE-6 squadron’s mission was to provide aviation support for Operation Deep Freeze, the operational component of the U.S. Antarctic Program. The squadron was disestablished in 1999. VXE-6 moved millions of tons of food, fuel, people and cargo. The crew of VXE-6 flew Lockheed C-130 Hercules which is a four-engine military transport aircraft capable of using contingency runways for takeoff and lands. 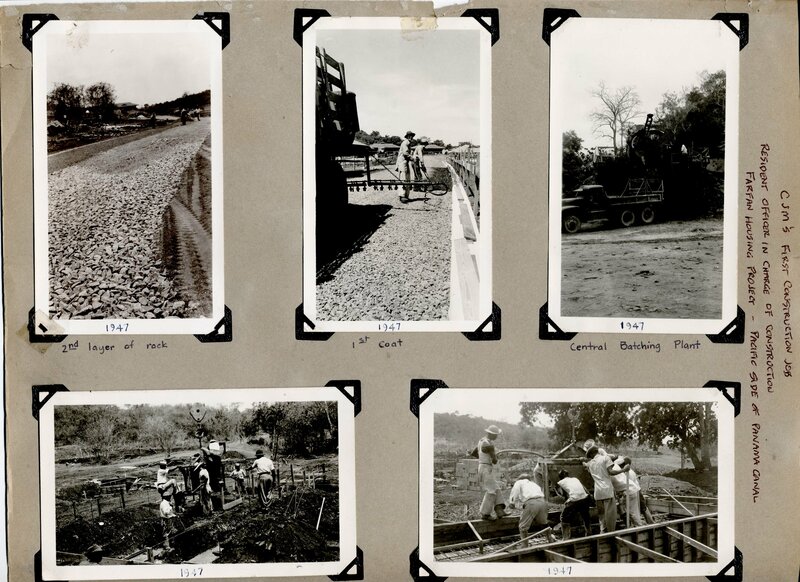 Operating under extreme conditions, the Navy Seabees were participants in Operation Deep Freeze from the very beginning in 1955. With the assistance from the VXE-6, the Seabees mission was to provide logistic support, and to build and expand the scientific bases located on the frozen continent. Their operations included: constructing ice runways, snow-compacted roads, underground storage facilities, laboratories, and living quarters. They successfully completed every mission assigned to them with their “CAN DO” attitudes. The Seabees also constructed Antarctica’s first nuclear power plant at McMurdo Station. The original control panel for the nuclear power plant is on display at the U.S. Navy Seabee Museum. Although the patch says “XMAS IS CANCELLED”, the Seabees were still participated in Christmas activities while stationed at Antarctica. 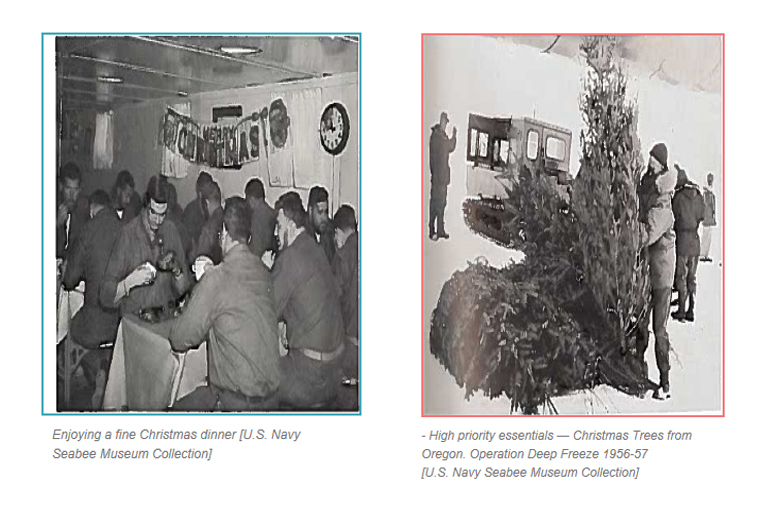 Christmas trees were flown in, feasts were cooked, gifts were exchanged, and Christmas services were held —bringing Christmas to the South Pole. Meet the Curator: Robyn King Robyn King earned her Bachelors in History and Anthropology from the State University of New York at Oneonta. She has experience working at State Museums, Historic Sites, the National Parks Service, and most recently the Navy. She’s an expert in collection management, and has worked closely with both natural and cultural collections. Robyn loves all museums and sharing her love of history. When’s she not working, she’s volunteering her time with the National Peace Corps Association, as a Returned Peace Corps Volunteer from West Africa.